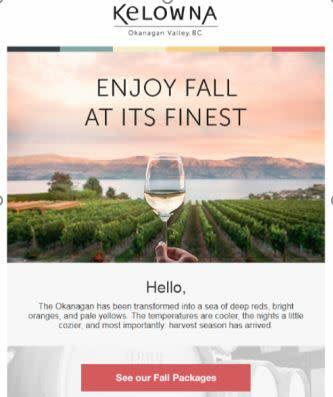 Tourism Kelowna&apos;s four-season marketing strategy continued to roll out with an increased investment in our fall marketing campaign, which ran through September and October. 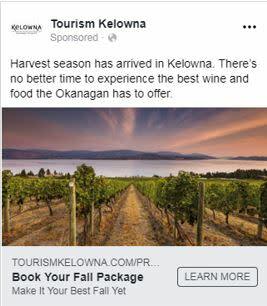 To help our destination bounce back from challenging summer weather conditions, tactics used demonstrated Kelowna as an ideal fall getaway and highlighted fall travel packages. Tourism Kelowna also ran a campaign through Expedia, specifically to recover revenue lost over the summer, which delivered strong results. After a strong start to the year, with many record-setting months for hotel occupancy, August and September saw decreases, which stabilized in October. 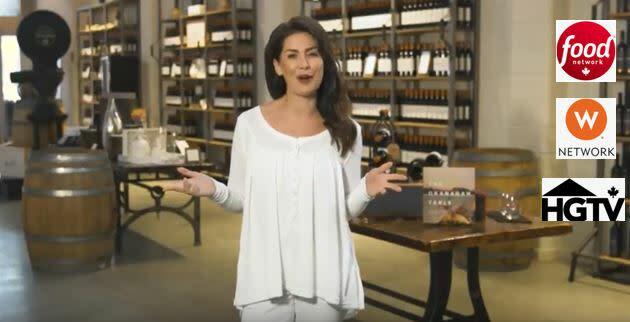 The fall campaign included national televising advertising on specialty networks (Food Network Canada, W Network, HGTV), digital pre-roll video, e-mail marketing, contesting, and social media and digital advertising. Results from the two-month campaign include nearly 10M advertising impressions. additional (bonus) advertising value over $85,000, and strong viewability and completion rates on digital advertising tactics. Our media and advertising agency continually monitors the performance of our marketing campaigns and tactics and makes necessary adjustments to ensure we&apos;re reaching our target audience. 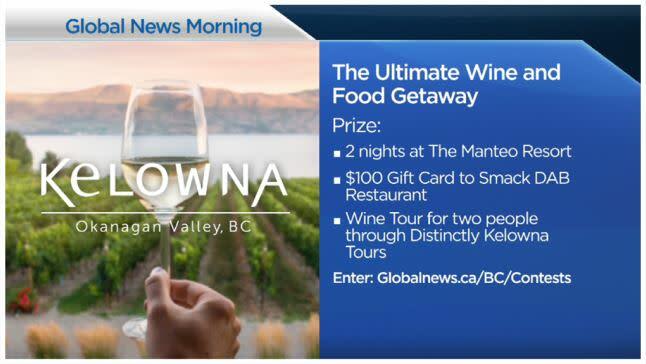 We also partnered with Global Television in BC and Calgary to run a fall contest that generated over 10,000 entries and 2,500 newsletter subscribers. The winners each won trips to Kelowna to enjoy our amazing fall food and wine experiences for themselves. Thanks to Manteo Resort Waterfront Hotels & Villas, Hotel Eldorado, and Distinctly Kelowna Tours for providing prizing. 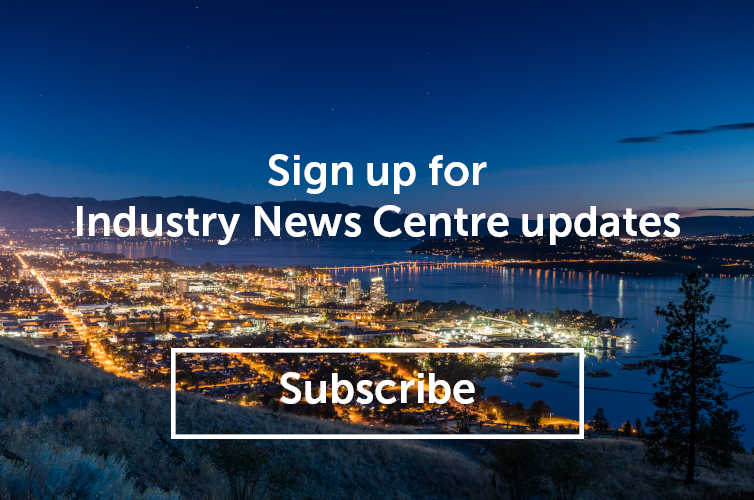 If you have any questions about our marketing and communications strategy or tactics, please contact Chris Shauf at chris.shauf@tourismkelowna.com or (250) 870-1660 ext 203.